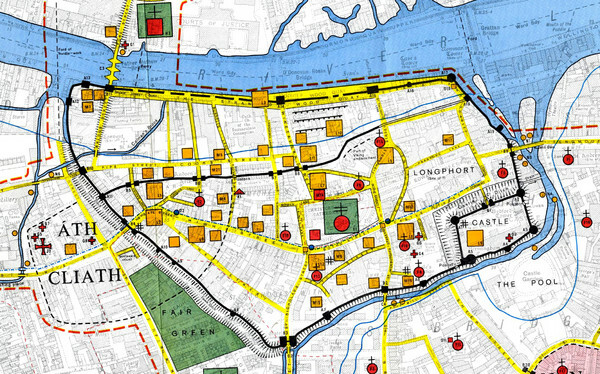 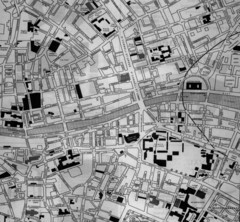 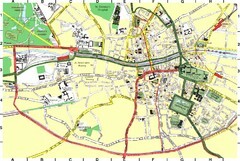 Map of Dublin's medieval city superimposed on a modern OS map. 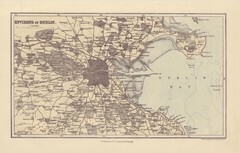 (From H.B. 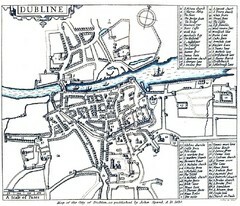 Clarke, 'Dublin c. 840 to c. 1540: the Medieval town in the Modern City' (Dublin, Ordnance Survey, 1978)).